It has been–OMG–three years since my last post! Motherhood, full-time editorial work, motherhood, a long illness, and motherhood have kept me away. My daughter is now 6. And I’m back. 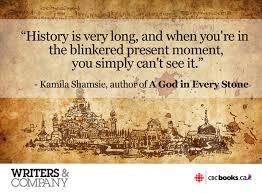 I still love historical fiction. I am also testing new waters, venturing into the realm of fantasy. I have a stack (and I mean a huge! stack) of books tempting me on my bedside table. The one I’m reading right now is V.E. Schwab’s A Darker Shade of Magic. I’m about 60 pages in and so far so good. I have no patience for a novel that doesn’t capture my attention within 50 pages (which I know will make me miss a few gems), but this one has caught me. The concept of “location” travel in a city that has been split into four “realms” (Red, White, Grey, and Black London), not time travel, is intriguing. Add to that, only certain magically inclined people, called Antaris, can travel among the three realms, and so it is with Kell, the main character. What’s there not to like??? I’ll write a full review when I’m done. In the past year, I’ve read Below Stairs: The Classic Kitchen Maid’s Memoir That Inspired Upstairs Downstairs and Downton Abbey. Had to, being a fan of these types of period pieces. I wasn’t impressed. This is an amateur writer–who prose is simplistic and unsophisticated, who was obviously published to feed the public’s infatuation with all things Downton Abbey. Guilty here! Really, it was a waste of time. I don’t recommend it. Hillbilly Elegy by J.D. Vance was another read I dug into for the same reason as Below Stairs. And that, too, I can’t say much good about. All the non-Trumpies are trying to understand the Trumpies who voted for him, and this book–so claims the publisher–will do that. Instead, it was, like Below Stairs, a simplistic, black-and-white, unsophisticated, and unthoughtful stereotyping of a certain class that even those voters wouldn’t agree fit them all. In truth, this was an autobiography. One person’s hick experience. It doesn’t apply to the rest of the world. Another waste of time. I have to admit, I am hung up on Cecilia Ekbäck‘s Wolf Winter. It’s well written and engaging, but my goodness, the violent (yet necessary) detail is tough for me to stomach. Truth be told, I have not read much Noir- and never Nordic Noir, which seems so popular today. The atmosphere is bleak and stark like the frozen ground on which the story is set. The writing is sparse and crisp, beautifully descriptive through both actions and words–reminding me a little of Julie Rose’s Oleanna in that way. It’s those gory details that I don’t think I can continue with, due to my sensitive nature I suppose. I am almost halfway through the book, and I FEEL the mental pain emanating from the characters’ hearts, which is actually the sign of an excellent novel. It is potent, disturbing, and definitely off the beaten path. A story of a Finnish family trying to survive the wilderness of Sweden’s Lapland in the early 18th century- I’m not sure how much more off-the-path you can get! Note: The cover image is from the 2014 UK publication of the novel. 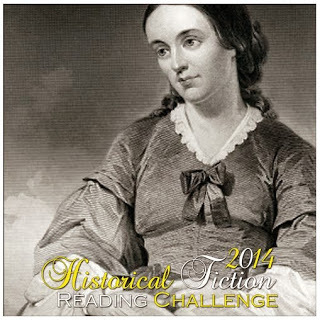 2) The Daring Ladies of Lowell by Kate Alcott. I have finished The Tiger Queens, Burnt Shadows, and A God in Every Stone. I need to write up the article by the end of the month and then I will make some comments here. The HNS review for The Tiger Queens will be out in November, and suffice it to say if you enjoy a classic historical fiction door stopper, a view of the life of a famous warrior from his women’s perspective, you will enjoy this. I did. An absorbing read, with a few quirks that tossed me out of the story for a few moments but were not hard to reconcile. 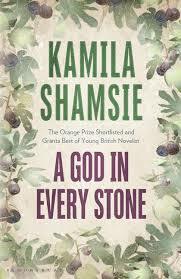 Coming soon will be an article I am working on about the epic novels of Kamila Shamsie. She is not as well known in the United States as she has been in Europe, and I’m thrilled to have been asked to write a feature about her unique novels, Burnt Shadows and A God in Every Stone. Although set during different time periods within the twentieth century, these stories revolve around both the big picture political and more personal spheres of the Indian-English relationship, the reality and legacy of the British Raj, and the Indian (both Hindu and Muslim) search for self-identity. I have a lot to say about these novels and I will be interviewing the author as well, so expect a few lengthy posts on these topics (and many more) by the end of September. My daughter is actually growing up, leaving me more reading, thinking, and writing time! I never thought it would happen : ) She is a young girl with an appreciation for books already, and I am one proud mommie! The other novel I’m engrossed in is Stephanie Thornton’s The Tiger Queens, a huge epic of the lives of the women of Genghis Khan. And it is a tome, at nearly 500 pages, but I have not a single regret for offering to review it–the novel is spectacular. This is for the November issue of the HNS magazine as well. 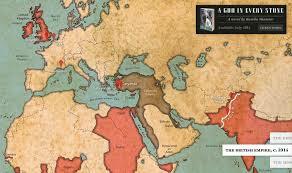 I have also taken it upon myself for October to review an historical novel the likes of which I don’t often see, a topic that has not been overwritten and that many Western readers would most likely consider exotic and off-the-beaten path: Holly Lyn Payne’s Damascena: The Tale of Roses and Rumi. 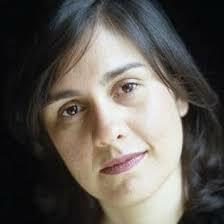 Set in thirteenth-century Persia, Damascena follows the life story of the living saint Damascena, whose relationship with the famed poet Rumi forever changes her life. The novel has been receiving glowing and heartfelt reviews so far. I don’t generally use the term “riveting” in my reviews, as it has become so common amongst reviewers that it has turned cliche. However, I am at a loss to find another word that describes precisely how absorbed I’ve been in this novel over the weekend. When I steal every moment for a quick fix, forget where I am while the page is open, and take the book in the bath, for crying out loud- well, that’s the definition of riveting. 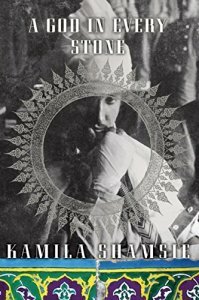 Our heroine, the brash, sarcastic, and rather unscrupulous Malka Treynovsky, flees the pogroms of Russia for a new life with her family in the heart of immigrant New York in 1913. Life in the golden land is not what her family expects, and soon Malka ends up orphaned, disabled, and nearly thrown into an institution. The same Italian ices peddler who disabled her also takes her in, but Italian family life is no easier than Jewish tenement life on Orchard Street, and Malka, renamed Lilian, survives by adaptation, observation, and pure gumption. Despite betrayal and manipulation and hardship, Lilian marries Albert Dunkle, a stunningly handsome yet illiterate friend of the family, and together they create the Dunkle Ice Cream Company. The consequences of Lillian’s choices and the effects of the instability of her childhood shape who she later becomes: “The Ice Cream Queen of America”–the maven of delectable deliciousness, pioneer of industry innovations and creations, with a grandmotherly television persona. Behind the mask, however, the fame, the riches, the manipulations, and paranoia from the past eventually cause her world to founder…. This novel is many things. It is a character study of self-destructiveness; an examination of the rags-to-riches personality; and a story of the early 20th-century immigrant experience in America. It is a social commentary on the evolution of American consumer and pop culture. It exposes the cynicism behind ruthless marketing campaigns, and the cutthroat competition even in such a “happy” field as ice cream production or children’s television. Lillian Dunkle’s voice is loud and brash–one can hear the full-blown New York accent in her words. She addresses us personally, not afraid to throw her harsh realities and judgements directly in our faces. “So sue me” is her favorite phrase and becomes her catch word throughout the book, defending actions that she KNOWS were not proper, yet believing in her right to do them anyway. I didn’t know how to feel about Lilian: her circumstances were horrifying, her trust in family had been shattered, and yet…in some ways she was a victim of her own making. A complex character, she is. Gilmans’s writing is superb–not for one moment did I, the reader, feel alienated from a scene or tossed out of time and place. Each settling was utterly absorbing (and at times made me squirm in discomfort). The novel spans 70 years, from 1913 to the Second World War all the way through the 1980s, and it is clear the author has done her research because of the subtle integration of historical elements into the flow of the narrative. 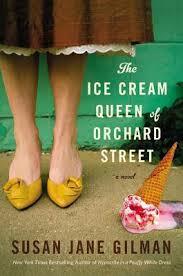 I came across The Ice Cream Queen of Orchard Street while at Book Expo America this year, searching through the list of historical fiction on offer. I stood in the signing line for at least 45 minutes, but everyone was good-natured and excited, and when I got closer to the front I discovered why: true to the theme of the book, the marketing campaign for Gilman’s novel was grand! Each person was given a huge Haagen-Dazs ice cream bar (choice of three flavors offered by a woman in a 1950s candy-striped smock!) to enjoy while we waited for our 30 seconds of discourse with the author and a signed hardback copy. When you read the book, you’ll understand the significance of that gesture. I thought the marketing was brilliant….especially after being on my feet for 8 hours in a crowded convention hall! The copy I have just reviewed is the signed hardback from BEA. I am reviewing it of my own volition, with no urging from author, publisher, etc.